Hiya guys. I cannot wait for this week to be over already, how about you? I think I actually forgot to mention it on here, but I have been home alone all week. Unfortunately, the hubs had to go out of town. He should be back on Saturday, so I'm not going to be alone too much longer. It's funny how sometimes we take something as silent company for granted. We normally don't chat up a storm or anything, but just his presence is enough to make me feel content. Gah now I sound all sappy, haha. Anyway... I haven't done a nail art segment without a prompt since early in the month, so I decided to play around with some beauties I had 'laying' around. Featured in this mani is the gorgeous Dazzling Dreams by CDB Lacquer. It's part of the duo being released for her indie-versary on Feb 1st and I'll have the full review on them tomorrow! 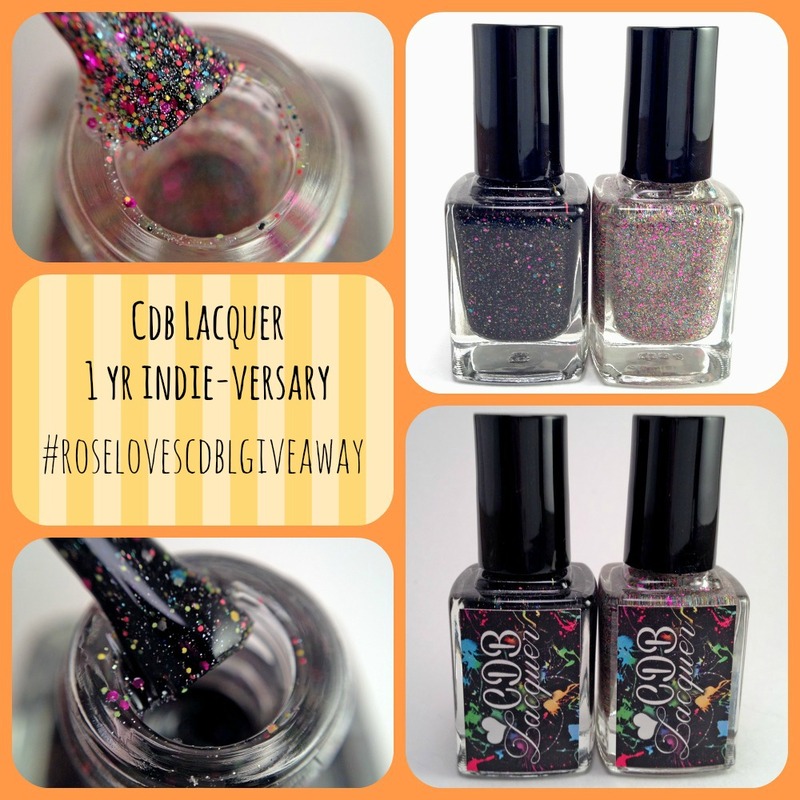 I'm also having a giveaway on Instagram with two full-size bottles of CDB Lacquer indie-versary duo! Details at the end of the post. There will be a 15-second video tutorial on my Instagram @roselynn787 that can show you guys exactly how I accomplished this mani. I know you guys must be wondering by now what the whole giveaway is about. Right now there is a giveaway happening through my Instagram account @roselynn787. If you don't have an Instagram, don't worry there will be another giveaway (blog exclusive) coming up by the end of February. 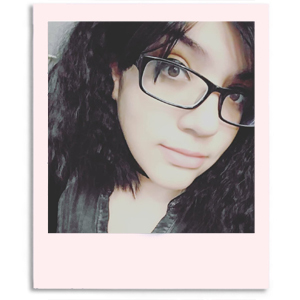 If you do have an Instagram simply go to my page 'roselynn787', follow the rules, and repost. It's a flash giveaway so the winner will be announced Friday February 6th. Let me know if you guys have any questions! And also let me know what you'd like to see as future giveaway prizes. Thank you! Yeah, I'm going to have stalking updates again because I need a spare set. I don't want to run out of these colors and I use them so much. Right?! It's pure sexiness, haha. I love this mani! The contrast between the almost neon purple and the black is gorgeous!